Chef Michael Kornick is a nationally recognized leader in the culinary arts. Kornick works with the freshest seasonal ingredients and stays true to classical cooking techniques. It is his belief that great ingredients speak for themselves. 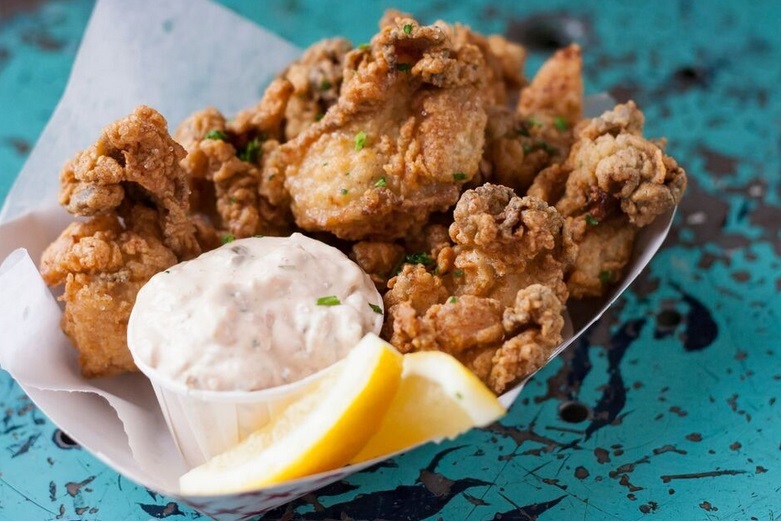 In 2009, Michael Kornick partnered with David Morton to open DMK Restaurants, the group that owns 3 DMK Burger Bars, Fish Bar, Ada Street, County Barbecue, DMK Burger & Fish and Henry’s Swing Club. Although known primarily for his accomplishments as a chef, Michael Kornick has developed into one of the country’s leading restaurateurs. He is highly sought after as an authority on restaurant management and hospitality and is known as a generous mentor to those who have worked under him past and present. I began cooking at home with my mother and grandmother. I liked the ideas that business and art/craftsmenship could intertwine. I thought I wanted to be a chef by age 11-12. I loved to cook. Tell us about DMK Restaurants. What inspired the idea and what is your vision for the company? We were inspired by Chicago's desire to support Chicago's neighborhood restaurants. We were inspired by the opportunity to work on something together. David is the greatest partner ever anywhere! We were inspired by the enthusiasm for building our company from the investment opportunity presented by our partners and the enthusiasm from the community of whom we serve. We focus on three trends: quality, value and hospitality. Quality, quality, quality: We are in an age where everyone is excited and interested in knowing "what makes your product great!" 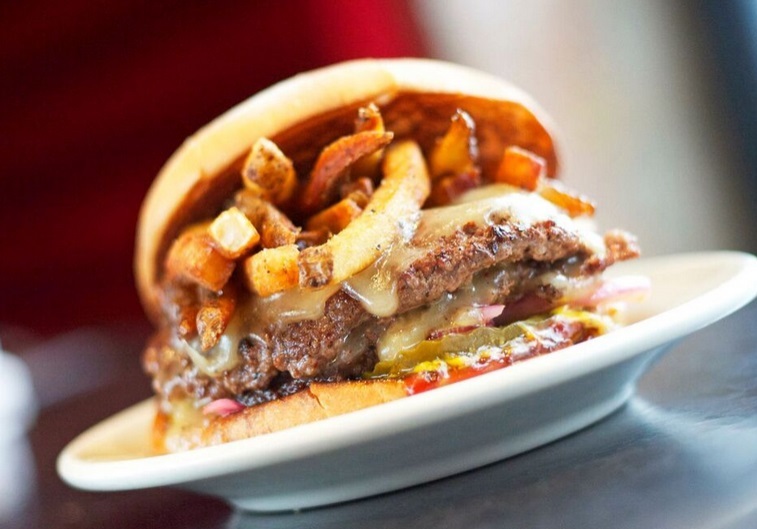 We keep hearing from our guests how thankful they are that our great burgers are from grass fed beef. We here everyday that Fish bar serves the freshest sustainable fish and how County Barbecue has the most delicious smoked meats. Value: We have a fair market value in all of our stores. At DMK we serve our friends, family and soon to be friends by focusing on a great product at a fair price. Hospitality: pour it on! We center our business and ourselves the more we focus on you, the guest. At DMK restaurants we deliver on the promise "The customer is everything!" Our team is there for you. They are 100% solely on your side as a guest. That's what DMK Restaurants does better than anyone. Kill or be killed! Just kidding. My life moto? Acceptance, forgiveness and love! Judge less often, learn to value differences and most of all recognize your ability to contribute to the greater good every day. Your greatest success as Proprietor of DMK Restaurants? Most difficult moment-how did you overcome and what did you learn? My greatest success is and has been knowing we make a difference in the lives of so many - our team, our guests and our community through everything we do. My most difficult moment was when County, a concept I am deeply passionate about struggled to find its audience in the first few months. We had so many months of being loved at DMK restaurants a slow start was simply painful when iI thought how hard Erick and the team had worked. Work hard in the types of restaurants that the top management values teaching. Describe the ideal experience at a DMK Restaurant. A short wait is greeted with empathy and you are made to feel welcome and valued immediately. A server who energizes you towards fun but is clear and thorough when describing all the beverage and food options available at the same time as being as brief as possible. The experience would continue with the accurate answering of any questions you mary have, followed by prompt and accurate taking of the order, timely delivery of service, great food and drink and wonderful hospitality throughout your stay. The meal would conclude with you feeling extremely well taken care of and a strong desire to return as soon as possible. This would be followed by a thoughtful goodbye from more than one person. How important are architecture/design to the success of DMK Restaurants? Very important. We create a feeling of intimacy and warmth with energy and at the same time comfort and familiarity. We pride ourselves on creating places we personally want to hang out at. We try to engage everone in a greater mission than any of our own personal gains. We try to encourage our team members to understand the interdependence we all have on each other to build our business rather than shrink it. We are all in it together. in it to win and win big! I would choose a Lafite Rothschild 1986 along with foie gras, escargot, roast chicken and garlicky potatoes from l'amis louis before chef Magnin passed away. 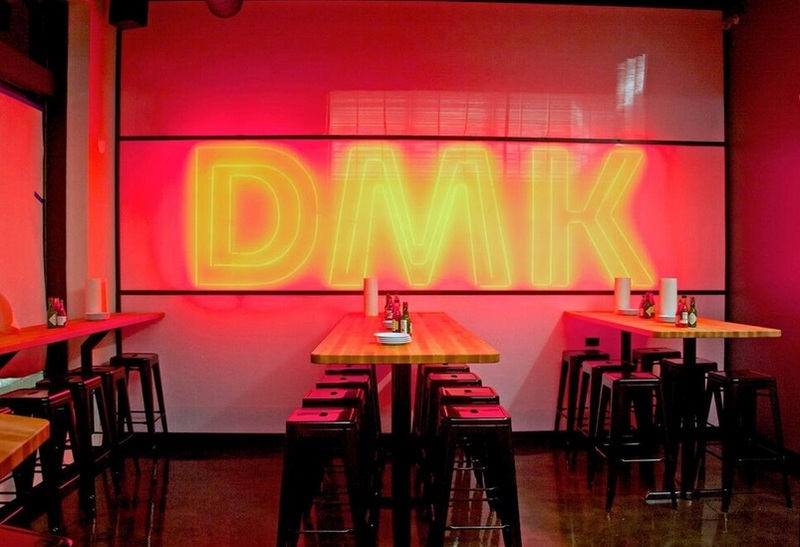 What's next for DMK Restaurants? Michael Kornick graduated in 1982 from the Culinary Institute of America and went on to work with some of the most influential chefs and restaurant operators in the United States, including Barry Wine at New York’s legendary The Quilted Giraffe, Gordon Sinclair, of Gordon Restaurant, and Richard Melman at Lettuce Entertain You Enterprises. At the age of 28, Chef Kornick was hired by the Four Seasons Hotel Boston, he was one of the companies youngest Executive Chefs. 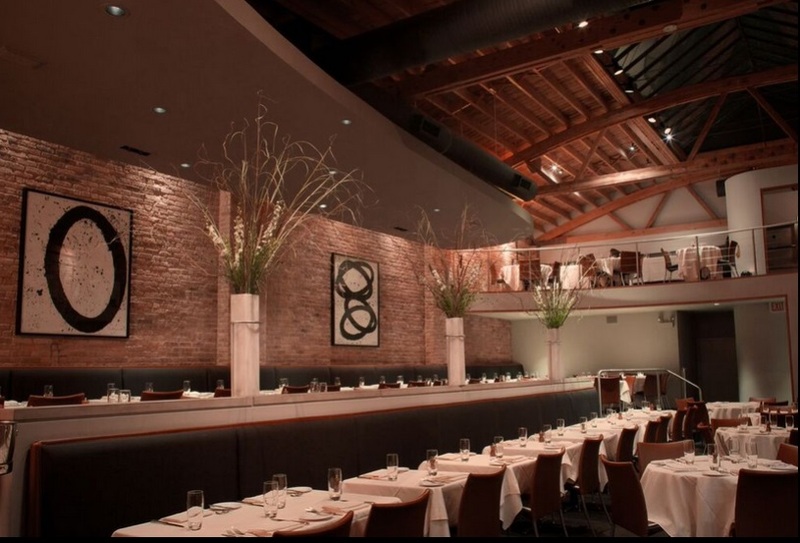 Kornick was then sought out to develop two successful restaurants–Marche 1993 and Red Light 1997 for KDK Restaurant Group in Chicago. Both restaurants received critical national acclaim, Marche was recognized by Conde Naste Traveler as one of the “Hottest Restaurants in the Country” and Red Light was included in John Mariani’s annual survey, “Best New Restaurants of the Year,” in Esquire Magazine. In 1998 Kornick, together with his wife Lisa, opened mk, the restaurant. Since opening, the restaurant has been acclaimed by the Chicago Tribune, Chicago Sun Times, and Chicago magazine, all recognizing mk with a three-star review. Condé Nast Traveler selected mk as one of the “Hottest Restaurants in the World,” and Esquire chose mk as one of the “Top Restaurants to Open in 1999.” Kornick was nominated five consecutive years as Best Chef, Midwest by the James Beard Foundation. Kornick was a co-creator of Nine steakhouse which opened its first location in Chicago in 2000 and continues to thrive in the Palms Hotel in Las Vegas. Kornick oversaw food and beverage operations for 9G in the Palms for over a decade. In addition to his professional responsibilities, Michael is very active in the community. He has raised awareness and money annually for Share our Strength, the Chicago Food Depository, Healthy Schools Campaign, Steppenwolf Theater, Perspectives Charter School, Sweet Water Foundation, Children’s Oncology services Inc., and many other worthy organizations. Chef Kornick lives in Evanston, Illinois with his wife and business partner Lisa and their children.